Heavy rains and flood waters flow across the impervious surfaces of roads and parking lots. 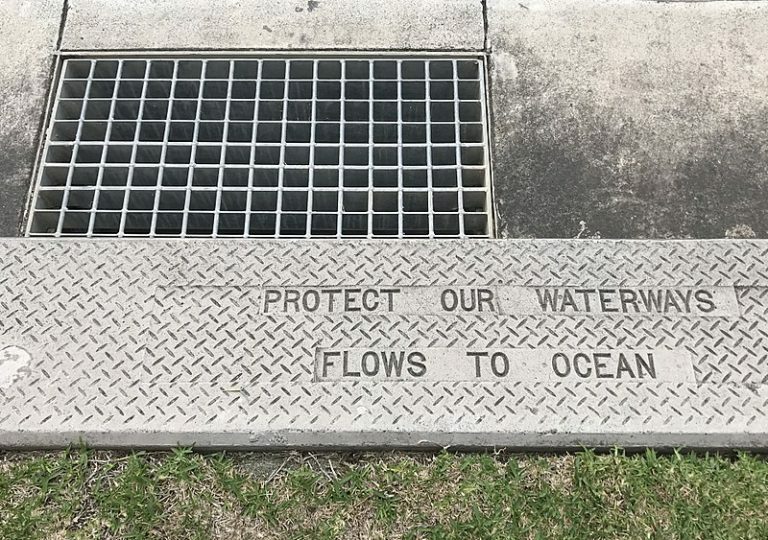 That flow pushes pollution on those surfaces–plastic bottles, cigarette butts, motor oil–into stormwater management systems. That pollution then dumps into lakes and streams. This system is how so much plastic ends up in our oceans.